A recent popular story concerning Pakistan’s Consul General in New York, Mr Babar Hashmi, is circulating on news channels, newspapers and internet blogs. According to the story on August 25, 2010, the Nasdaq Stock Market, an American stock exchange, offered the consul general an hour of free-of-charge use of its seven-storey tall MarketSite Tower, a massive video display in Times Square in New York, to broadcast an appeal for Pakistan’s flood victims. Given the high visibility of the display, it was expected that this would garner at least one million dollars in donations. Hashmi, allegedly squandered the opportunity by broadcasting his own images instead. He has been thoroughly vilified for this action. However, an investigation of the issue questions the veracity of this widespread account. According to an official Nasdaq press release issued on GlobeNewswire on August 24, 2010, the Pakistani Consul General was invited to Nasdaq’s prestigious Closing Bell ceremony that signifies the end of the day’s trading. The whole event was scheduled to last for fifteen minutes, from 3:45pm to 4:00pm. Hashmi attended the ceremony along with his commercial attaché, Muhammad Aamer. The Closing Bell began with brief introductions by two Nasdaq officials, including Meyer Frucher, the Vice Chairman of Nasdaq OMX, the parent company that owns and operates the Nasdaq Stock Market. Frucher himself spoke about the challenges faced by Pakistan and the country’s relationship with the US. Hashmi followed him to the rostrum and spoke for the allotted time of just over two minutes. He discussed the floods ravaging Pakistan and appealed for assistance, providing information on a donations account in the New York branch of the National Bank of Pakistan and on Pakistan International Airlines’ free relief service. Images from this appeal, and from a brief photo-session that had immediately followed, continued to be displayed on the Nasdaq Tower following the Closing Bell ceremony. Archival footage of the entire ceremony is freely available on Nasdaq’s website. The media event at Nasdaq was no more than 15 minutes long. The consul general was invited to only ring the closing bell of the market day on August 25, 2010, as the chief guest. He turned the simple bell ringing event into an opportunity for highlighting the plight of the flood affected people of his country. Nasdaq gives organizations participating in bell ceremonies the option to run a 30-second video on the Nasdaq MarketSite Tower within a given timeframe. 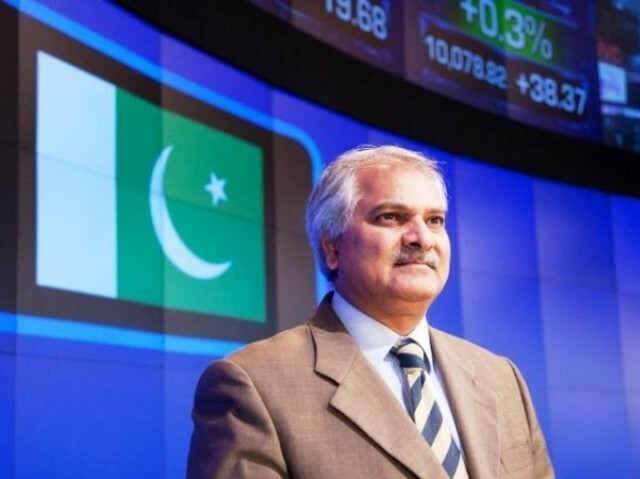 The Consulate General of Pakistan in New York provided a video message for the Nasdaq MarketSite Tower and the Closing Bell on August 25, 2010. The Consulate General of Pakistan in New York plans to take the opportunity to broadcast a video message on the Nasdaq MarketSite Tower in the near future, and Nasdaq looks forward to continuing its show of support for the flood relief efforts in Pakistan. Nasdaq has already made good on its word. On September 3 Nasdaq invited the American arm of the UNHCR to the Closing Bell ceremony. The UNHCR’s appeal for flood relief in Pakistan was also broadcast on the Tower, accompanied by a video featuring Hollywood actress and UNHCR Goodwill Ambassador Angelina Jolie. Details about this event are widely available, including the aforementioned official Nasdaq sources, and fair coverage of the event that appeared in most newspapers. However, the narrative that has taken hold in the Pakistani media makes little or no mention of Hashmi’s attendance at Nasdaq’s Closing Bell ceremony as the source of the images transmitted on the Tower. There are a number of glaring discrepancies in reports on private media channesl. One correspondent referred to the Nasdaq Tower behind him as a screen belonging to the New York Stock Exchange (NYSE) – despite the fact that the screen visibly flashed the word “Nasdaq”. In fact, the NYSE and Nasdaq are two separate and competing stock exchanges. The correspondent also made the assertion that the Pakistani Consulate had been given an entire hour to air a video about the floods, and claimed that an unnamed executive at the NYSE expressed dismay that Pakistan was unable to take advantage of their offer. This official allegedly stated, “I think we are stupid that we made this offer to Pakistan.” If the quote is indeed genuine, it is unclear what the executive was referring to, given that the Tower belongs to Nasdaq, and not the NYSE. Consulate officials do their work professionally and it is hoped that they will be allowed to do so particularly at this difficult time in the history of Pakistan. The misperception will make it hard for big people and companies [like Nasdaq] to support Pakistan in the future. It’s too much of a headache. It makes us look unappreciative and ungrateful. The consul general’s story has also acquired political hues, with repeated calls for the Ministry of Foreign Affairs to conduct an inquiry. Further, an article in a local daily claimed that it was not only the Hashmi’s images that appeared on the screens but also those of the late Benazir Bhutto. This account is contradicted by the official Nasdaq footage of the event. The story has also been repeated in a popular op-ed in the same daily where PML Q MNA Nosheen Saeed has turned it into a searing criticism of the government. 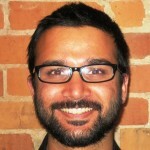 It is unclear whether political partisanship played a role in distorting the story. It is equally unclear how such disinformation entered the mainstream news-cycle, and why a number of reputable media groups across the country accepted, and perhaps even embellished, it without adequate checking. Aww man, the truth can be so boring! It made for much more interesting dinner party conversation when the story was about yet another egocentric Pakistani technocrat. But I guess we can always use this one for the post-dessert, pre-chai round, that of Media Bashing. I confess I did believe the original story and told many people about it and now I feel completely stupid to believe what our news channels portray as legitimate news. Remind me never to watch television news again. Quite disappointed to have read your article, Mr Siddiqi. The basis of your argument and the facts presented are both misleading and in accurate, if i may say. Im an enterpreneaur based in Karachi and in the 39 years of my practical life, ive only seen the gradual decline in the service standards, professionalism, integrity and commitment of our Commercial Attache’s and diplomats abroad. The gentleman, Hashmi, is a prime example. This is largely because such diplomats manage to get plum postings with “parchi’s” and “sifarish” rather than merit. Another important factor is that “khan daani” gentlemen officers are a thing of the past. Now i know all to well that the NASDAQ authorities had given the consulate a full hour and i repeat a full hour to the Consulate to present Pakistan’s case. Even if the event was for 15 minutes as you claim to have written, wouldnt 15 minutes make a difference in our efforts to help our countrymen who were dying back home but sorry, what difference do 15 minutes make to a nation and men like Aamir and Hashmi who would waste time in sipping cups of tea and enjoying their posting! Shame!